for the home and garden, taking inspiration from their greenhouse workshop in Florence, Italy. ​In an old greenhouse in Florence, Italy resides the company La Serra MK Textile Atelier. Founded by Margherita Pandolfini and Karl Jorns in 2008, their studio is a vibrant and creative space. Their work techniques include silk screen printing, hand painting, and digital design to create unique furnishings for the home. 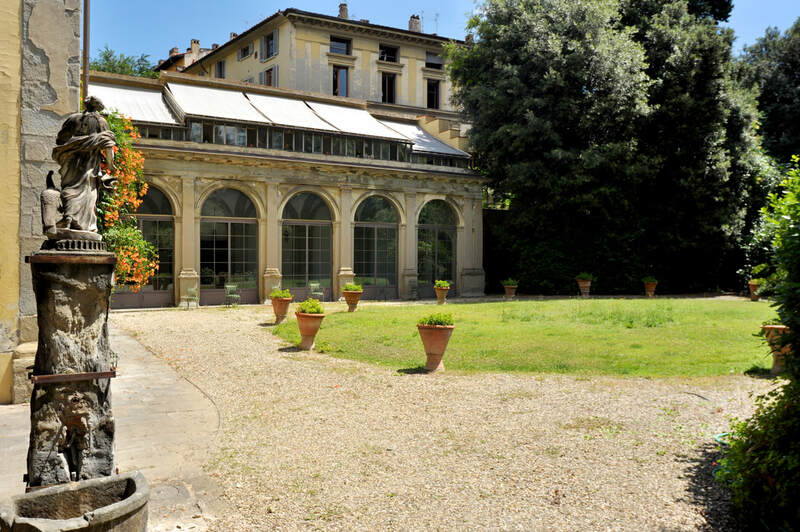 The greenhouse, or 'la serra' in Italian, is attached to a 15th Century palace overlooking a hidden garden. It was added to the palace in the 19th Century when the garden was renovated. It became famous during Sofronia Stibbert's residence in the palace as she used it to cultivate camellias. Until recently, the greenhouse was an abandoned oasis. Margherita and Karl saw something no one else could and transformed it into their creative space. The months of labor and development were some of the most fun as their dreams came to light. The space is open, lined with windows and flooded with sunlight. The floors are beautiful terra cotta stones. The walls are covered with inspiration boards and artist supplies. Their line of one of a kind handmade products use the highest quality fabrics and pigments, each piece a reflection of the artists' natural surroundings, experiences abroad, and the Florentine art and history. ​Margherita studied sculpting and fine art in Camberwell College of Arts in London, where she lived and worked for fourteen years. Karl studied architecture and design, then lived and worked in Brazil before moving to Florence over twenty years ago. The duo met when they collaborated together on a project for Elio Ferraro Vintage in Florence. They quickly decided to partner and combine their interests and backgrounds. Margherita and Karl opened the atelier in 2009 and rebranded as La Serra MK in 2013. La Serra MK combines both of their passions for textiles, traveling, and creativity along with the heritage of screen printing and handmade products. La Serra MK produces one of a kind textile products for the home and garden, working on a bespoke service. They also teach exclusive workshops for those who are looking to get their hands a little dirty and learn more about textiles.